Click here to sign up to PureProfile now. 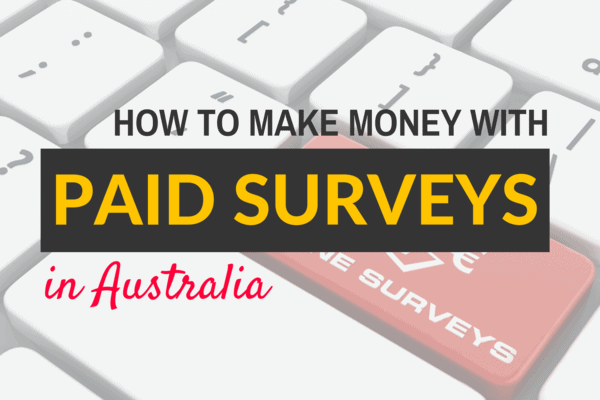 As a huge fan of paid survey sites, I am familiar with sites that can really earn you money. PureProfile is definitely one of my favourite survey sites to earn cash from surveys. Pure Profile surveys has a user-friendly interface which makes it easy and simple to make money without much hassle, and best of all, their surveys earn you real cash! Yes, unlike many other paid survey sites nowadays only offering vouchers and entry into prize draws, PureProfile offers cash as their main reward. But is PureProfile legit? Find out in our PureProfile Australia review below or click here to sign up now. How regular are their survey offers? Pure Profile Australia sign up is simple and fast. During the Pureprofile sign up, I was only requested to provide my email and some additional information such as my gender, postcode and date of birth. Then you’re in! Once I registered, surveys were immediately presented in my dashboard. Each survey says the amount you’ll receive once you’ve completed it and the pay is quite good too. As with other paid survey sites, PureProfile lets you earn online by participating in their survey offers. Your profile dashboard can be filtered in a way that allows you to see surveys opportunities, and you can update your profile to better match these offers. PureProfile doesn’t use a point-system for earnings – instead being transparent and listing exactly how much you earn per survey. Aside from completing surveys, you can also watch videos to earn instant cash. PureProfile rewards offer a simplified cash payment system for online surveys which makes making money easy. In my dashboard I can see how much I get for each survey. It takes about 20-30 mins to complete a survey and earns me a few dollars each time. The PureProfile survey website also recognises the value of your time which is why they pay you a few cents even if you are screened out. PureProfile offer a wide range of rewards for their members so you can get paid to do surveys now. There is no points system, with the website instead paying you cash for surveys. In my opinion their best option is the cash reward which can be processed via a direct bank transfer. You can also redeem cash to pay for other services/products like Netflix, groceries, movie passes, etc. PureProfile requires a minimum of $25 to transfer cash to your bank account and can take several business days. Not all survey sites are the same – some have great offers while others don’t. For me, PureProfile is one of the best options for Australians and it remains to be one of the best paid online survey sites we have. I love that a Pure Profile survey can earn you real cash and that you can transfer this directly into your bank account. While some Pureprofile reviews have stated a lack of surveys, the only way to know if Pureprofile surveys will work for you is to try it out. I’ve found how to get more surveys on Pureprofile is by making sure you answer accurately and quickly respond to survey offers. I have also found the customer service good whenever I’ve run into problems.